At the age of 27, Anton Yelchin had over 60 acting credits to his name when he died in a tragic accident, and yet despite this, he wasn't a huge star. 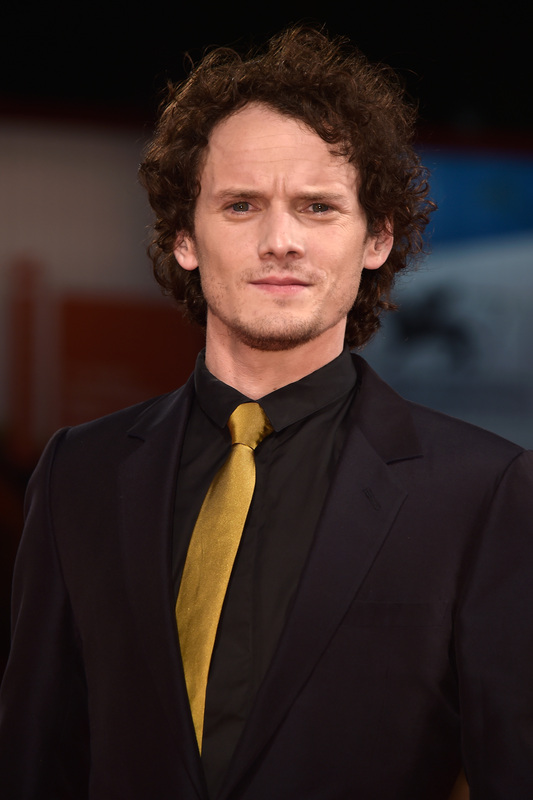 Having missed, or simply chosen not to participate in, the wave of young adult action movies like Twilight and The Hunger Games, Yelchin was a relatively under-the-radar actor. His supporting role as Chekov in Star Trek earned him a large amount of visibility and fame, yes, but it didn't turn him into a magazine heartthrob or a blockbuster regular. Of course, that didn't stop him from being a favorite actor for many people, including myself. Yelchin might not have been underrated, never one of Hollywood's hottest names or making studios millions of dollars, but to anyone who saw him in his roles outside of Star Trek, he was unforgettable. I first became conscious of Yelchin at the same time as many others, when Alpha Dog was released in 2006. The gritty drama, based on a true story, also starred rising young actors Ben Foster and Emile Hirsch, and, though Yelchin had already been working steadily for six years, it was largely considered his breakout role. In the film, he played Zack Mazursky, a sheltered teenager who gets kidnapped by drug dealers because of his older brother's illegal activities. In a strange twist, Zack becomes friends with his kidnappers, and is so enthralled by their fun, carefree life style that he (spoiler alert) essentially helps them kill him. It's a tough film full of great performances, but Yelchin stands out from the pack. Now, I'm the kind of person who falls in love with movies, hard, and when that happens, I need to watch the film in question over and over again. But after I fell in love with Alpha Dog, I never revisited it — not once — because Yelchin's performance was so effective and moving that I've simply never forgotten it. 10 years later, the expression he has as he duct-tapes his own hands together and waits to be killed is still burned into my brain, and every time i think about it, it disturbs me the same way it did in the theater. Yelchin's performance is just that good. That wasn't the only time I fell in love with a Yelchin film, though. The next time was one year later, with the release of Charlie Bartlett, an underrated gem of a high school movie about a boy who becomes the unofficial school psychologist. As a long-time therapy enthusiast, seeing a high school movie deal with mental health in such a wacky yet straightforward way was a revelation — and the fact that it starred Yelchin was a huge perk. Unlike with Alpha Dog, I watch Charlie Bartlett over and over again. I never get tired of the jokes or the plot, but, most importantly, I never get tired of watching Yelchin on-screen. After Charlie Bartlett, Yelchin's profile began to rise, with buzz-worthy roles in the Star Trek reboot and Terminator Salvation, though neither got him too much praise. That came when 2011's Sundance darling, Like Crazy, debuted. The indie love story, starring Yelchin opposite then-newcomer Felicity Jones, earned a lot of buzz because of its unconventional style; director Drake Doremus gave the actors outlines of each scene and allowed them to improvise, creating a uniquely intimate portrait of a relationship. When the film hit theaters, Yelchin's star immediately grew, but instead of using his new reputation to take on big blockbusters, he surprised Hollywood by taking on more smaller roles. Looking at his credits, you'll see he appeared to favor ensemble films, regardless of size or scope. He was in a remake of Fright Night, voiced Clumsy in The Smurfs movie, appeared in the drama You and I — the list goes on. Yelchin wasn't a major leading man, and, having never appeared in a Hunger Games-type franchise or participated in a high-profile romance, he wasn't really considered part of the "young Hollywood" elite. His career was unpredictable, and, as a result, he never really became a household name. Those who missed his star-making performances in Alpha Dog, Charlie Bartlett, or Like Crazy might only know him as the cute kid from Star Trek, and that's not to say his blockbuster role isn't just as important; his Star Trek role is memorable and hugely entertaining. But the fact is that Yelchin was one of the most talented actors of his generation, and deserves to be remembered for the entirety of his impressive resume. There are a lot of people who didn't get the chance to fall in love with Yelchin like I did. Despite his long filmography and obvious talent, he was an underrated actor who never made a big impact in today's celebrity-obsessed world. However, for those that did get the chance to know and love Yelchin's work when he was alive, we all know that he was a one of a kind actor. When you sat down to watch one of his movies, you knew that, no matter how good or bad the film was, you were going to see a great performance. As tragic and sad as Yelchin's death is, fans are lucky he left behind such a long list of films that fans can re-watch to remember his talent, or, for so many others, experience for the very first time.